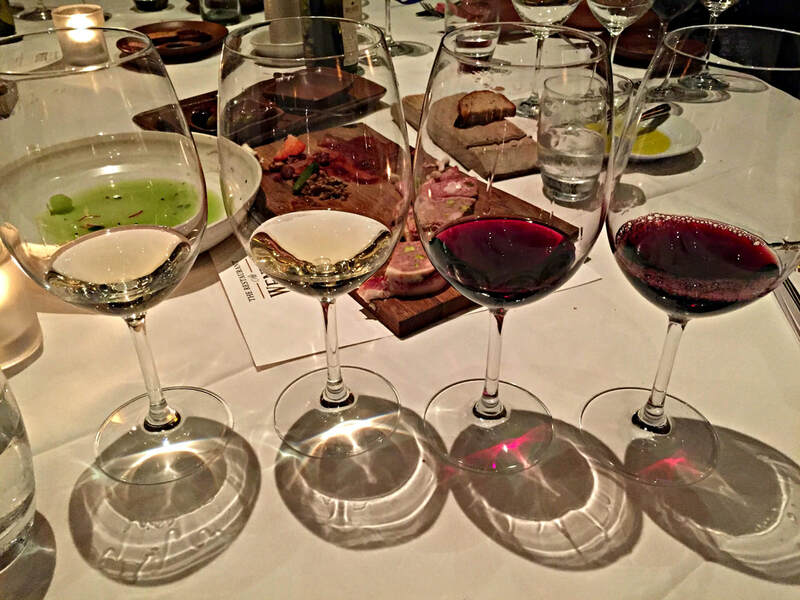 The history of California wine lies in the genetic makeup of its most famous winegrape varietals, Chardonnay and Cabernet Sauvignon. 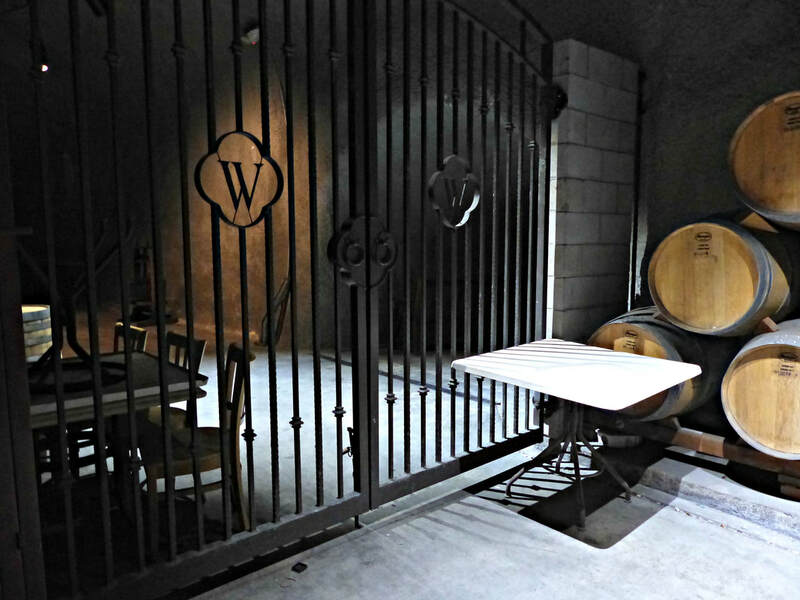 Inspired by their French incarnations 135 years ago, two winemaking families in the Livermore Valley, Wente and Concannon, pioneered their existence in the Golden State, and changed its winescape forever. 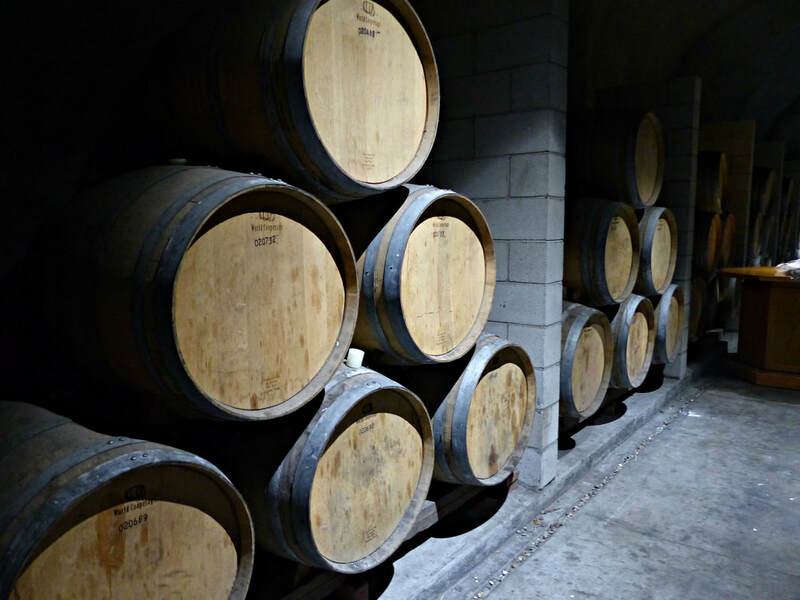 Written in their DNA sequences, heritage Concannon Cabernet Clone 7 and Wente Chardonnay Clone channel their French roots, the Cabernet a distant relative of renowned First Growth Château Margaux from Bordeaux, and the Chardonnay from Burgundy. These grand Old World varietals would take the New World by storm in the 20th Century, upending the Riesling, Carignane, and Zinfandel that made up most of the first commercial wines in California. Today, 80% of all of California’s Chardonnay and Cabernet vines trace their existence back to these clones. Wente and Concannon's stories, innovation, and tenacity blazed a path for today’s winemaking success, and have brought new life to the Livermore Valley from where they began. 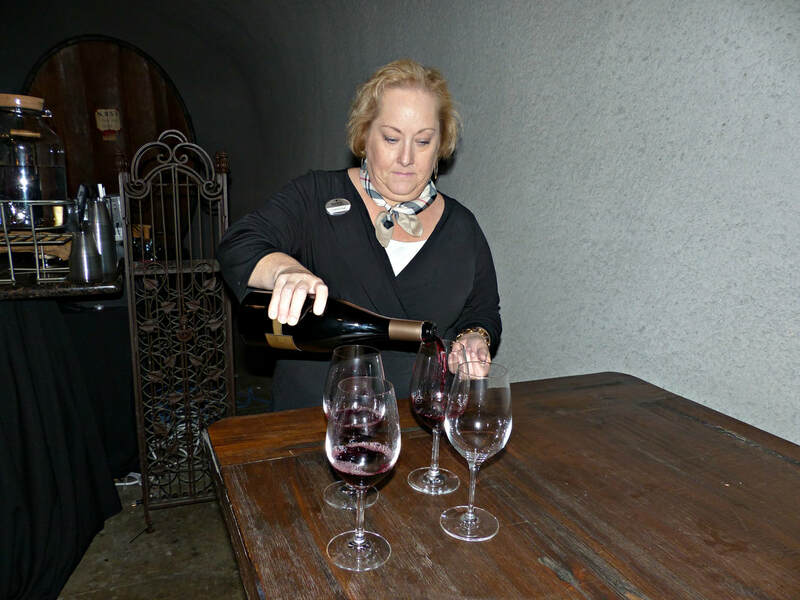 Concannon Vineyards, steeped in history, is basking in the glow of a wine renaissance. Concannon, in ancient Gaelic, translates to “Wisdom without compromise”, which is fitting for the Concannon legacy in Livermore. What started out as a passionate spark of inspiration laser focused a family business for over a century, while staying true to the original goal of providing quality wine at a fair price. Each generation followed in the footsteps of the founder, yet added their own spin to the label. Concannon transformed California’s wine industry into a world player, and their novel approach set trends that are the norms today. 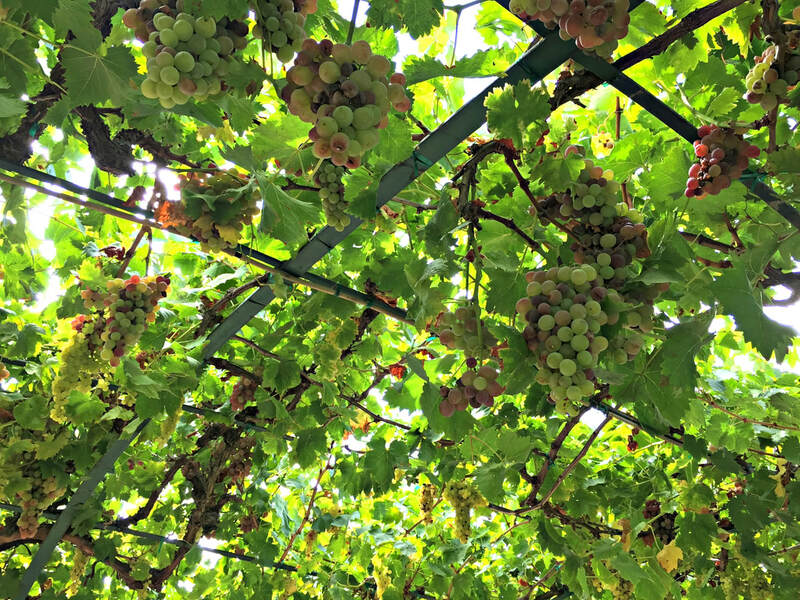 The importance of winegrape clones in the aromas and flavors of wine, the recognition of California’s terroir as on par with Europe’s greatest vineyards, and crafting single varietal wines designated with the names on the bottle labels, all this was revolutionary thinking in the 1800’s. As wine drinkers today luxuriate in an abundance of quality wines, this was not so common in the time of James Concannon. 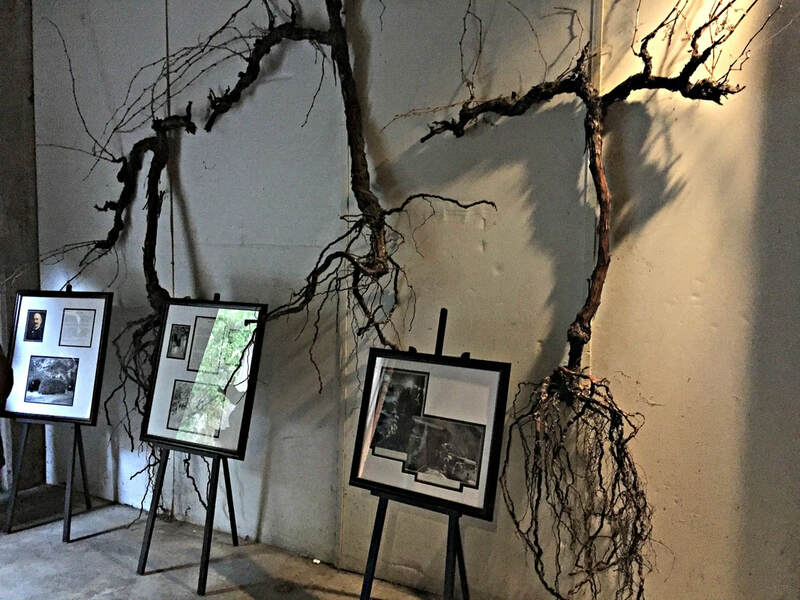 Along a wall in the Concannon winery’s tasting room, a walk back in time reveals how a big idea changed California’s wine industry, where 135 years of innovation and commitment to quality is swirling in today’s wines. 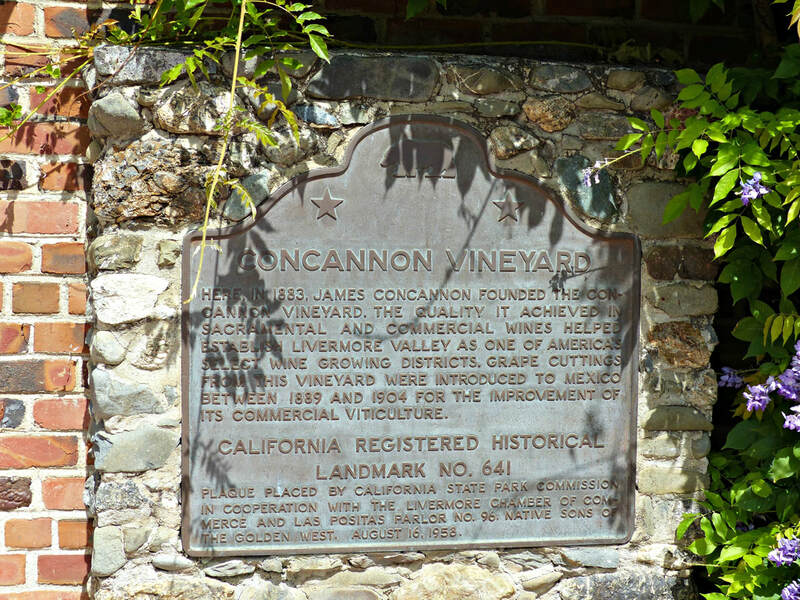 Concannon Vineyards was founded in 1883 by enterprising Irish immigrant James Concannon, who recognized the potential of Livermore Valley. Truly a trailblazer, Concannon was struck by its similarity to Bordeaux, especially the soils. He went all in, buying land and studying winegrowing in Bordeaux, and made the first Bordeaux-style wines in California. So committed to crafting a high quality wine, he imported vine cuttings from Bordeaux, Cabernet Sauvignon from Château Margaux and Sauvignon Blanc from Château d’Yquem. 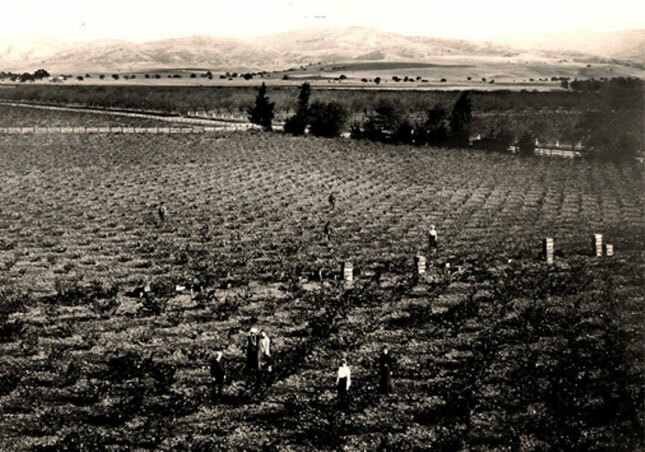 When Charles Wetmore, a fellow vintner, won the 1889 Gold Medal Awards at the International Paris Exposition, Livermore Valley seemed poised to produce wine in a big way. 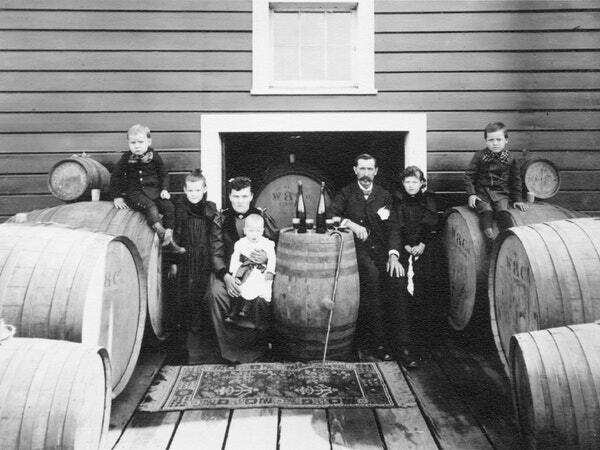 But then Prohibition crippled the fledgling wine industry, and while many wineries went out of business, Captain Joe Concannon, James’ son, continued winemaking in the guise of sacramental wine. 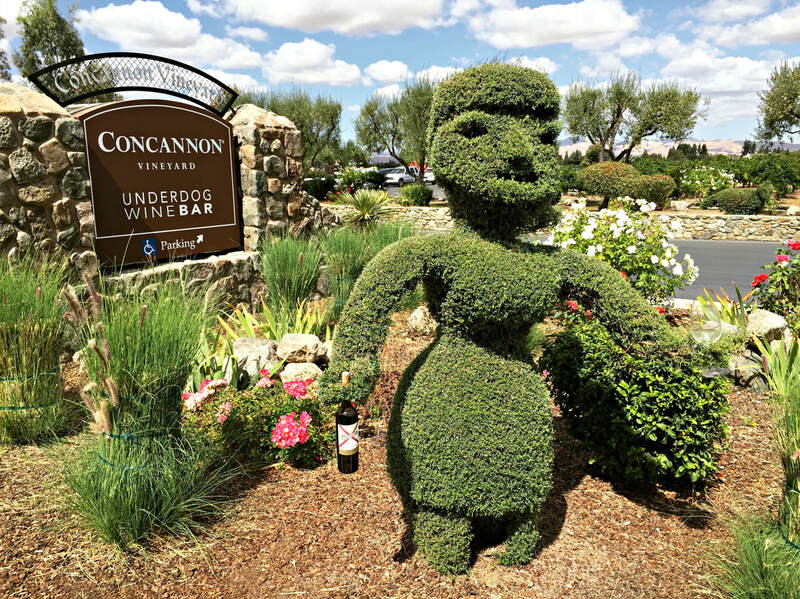 Keeping their vineyards alive, Concannon bided their time for thirteen years, until 1933, when Prohibition was repealed. 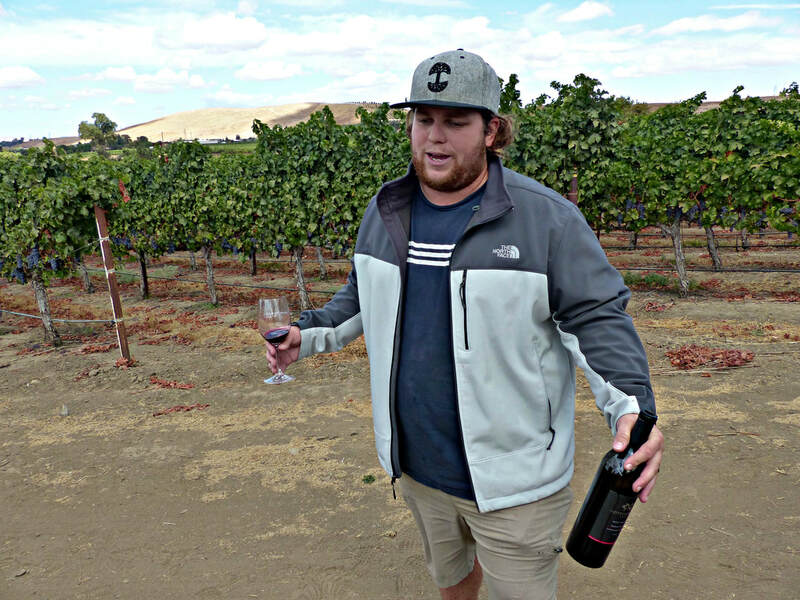 Captain Joe re-launched the Concannon brand with vigor, a man ahead of his time by becoming one of the first to bottle Cabernet as a single varietal wine. When Captain Joe passed the baton in 1960 to a new generation, Jim Concannon made history by bottling a 100% Petite Sirah, at this point only used as a blending grape, which gained him the moniker, “The Father of Petite Sirah”. 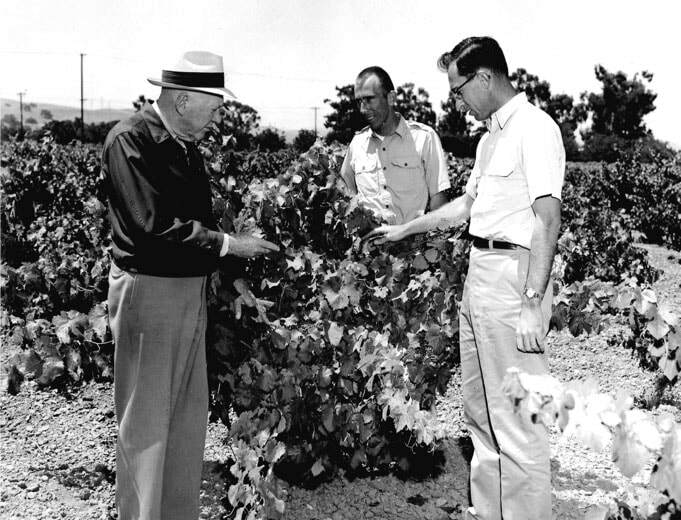 In 1965, Jim and UC Davis collaborated on a groundbreaking project, to rebuild California’s wine industry. By propagating cuttings from Concannon’s original Cabernet Sauvignon vine, known as the “Mother Vine” that was imported from Château Margaux in 1893, it was hoped to produce superior Cabernet clones, that would yield high quality fruit. 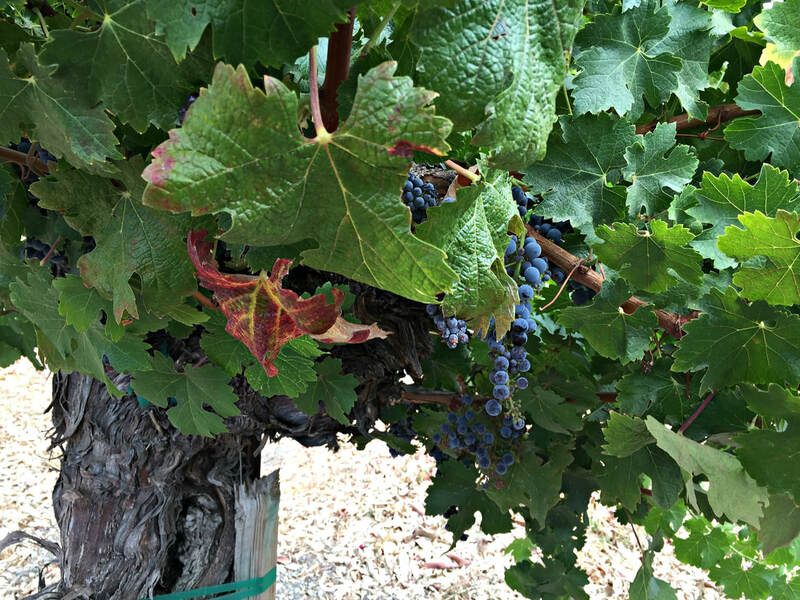 Concannon Cabernet Clones 7, 8, and 11 were developed, and widely planted in vineyards across California. 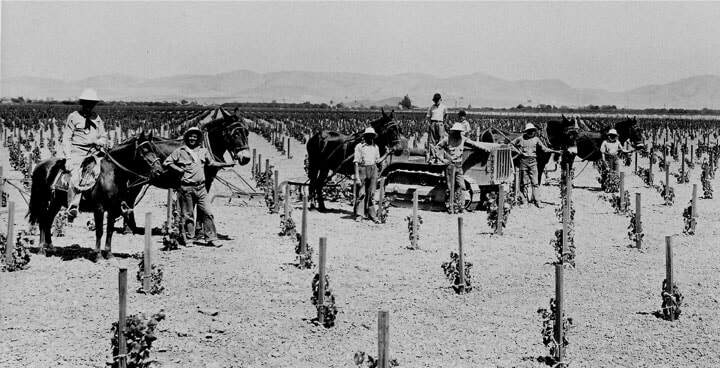 Today, 80% of all California Cabernet can trace their heritage back to these Concannon clones. 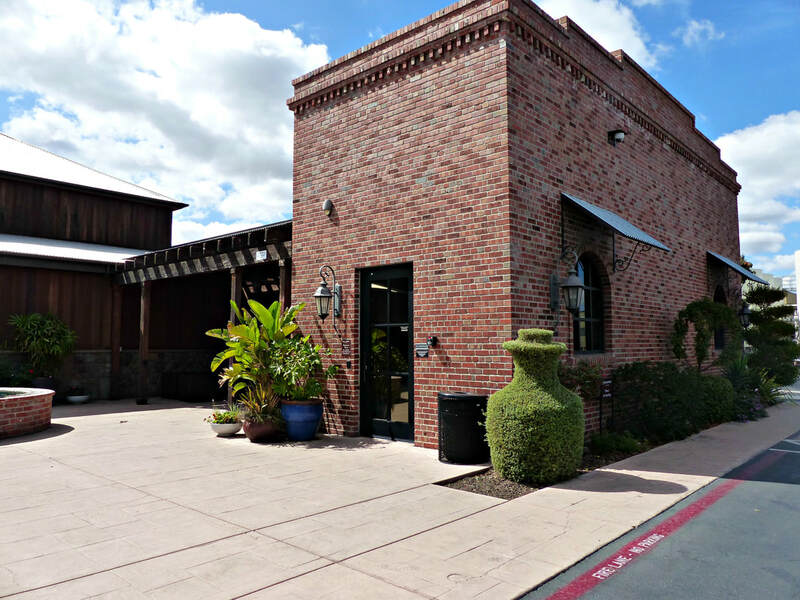 Currently, The Wine Group owns Concannon, but the family is still involved in a big way. 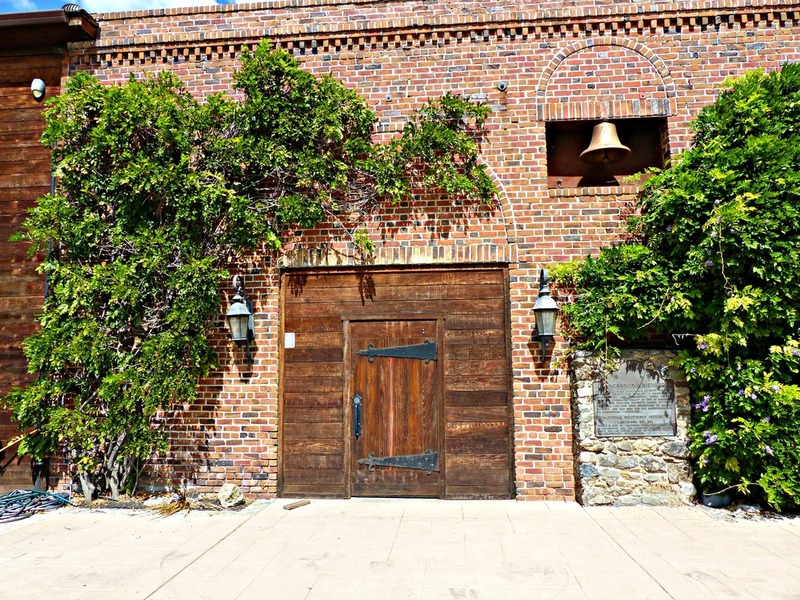 The Wine Group’s resources have allowed modernization of the property, and they have preserved the winery’s heritage, by continuing their tradition of excellence and innovation, in conjunction with the Concannon family. 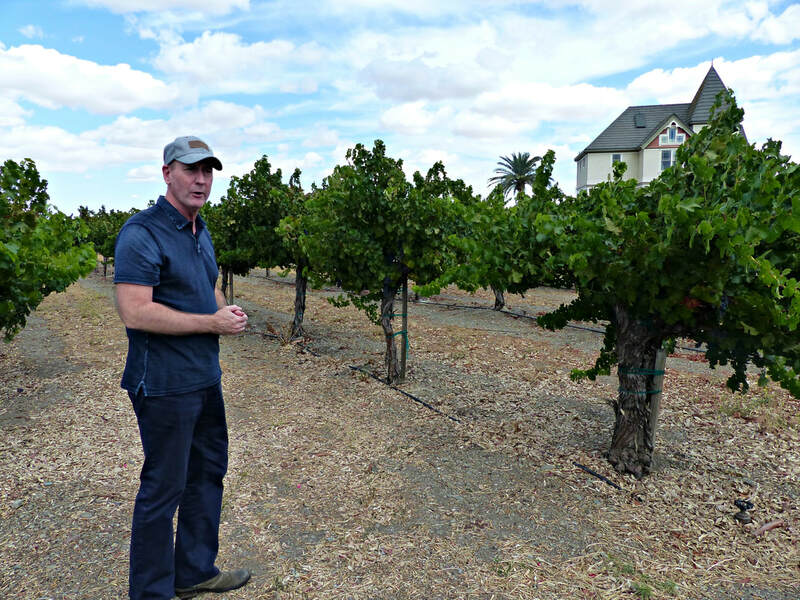 Ten years ago, John Concannon took the lead in day-to-day operations, and directed the revitalization of the property and vineyards, becoming Certified Sustainable. Thirteen winegrape varietals are grown on 220 acres, utilizing soil management techniques, water conservation, pest control using natural predators, wildlife protection, solar energy, and recycling. 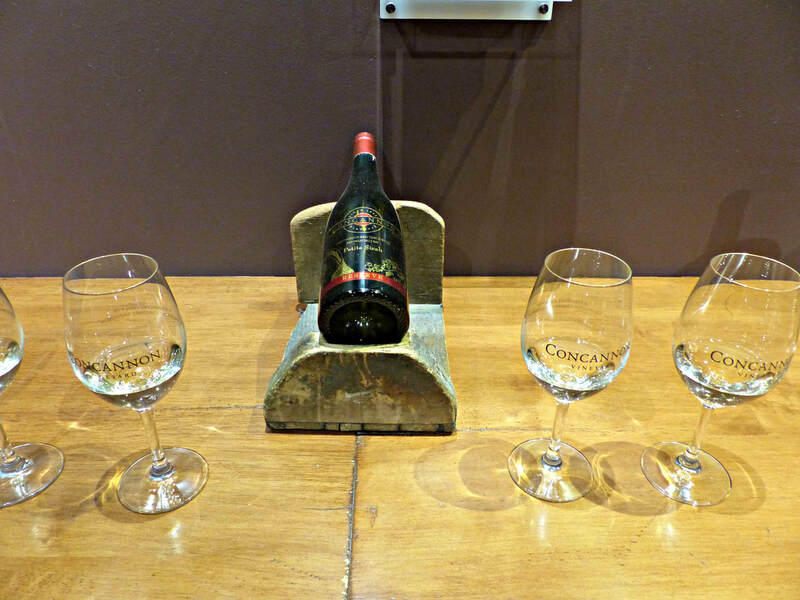 In recognition of Concannon’s contribution to history, three Concannon bottles, Riesling, Angelica, and Sherry, from Prohibition are now displayed in the National Museum of American History, Smithsonian Collection. 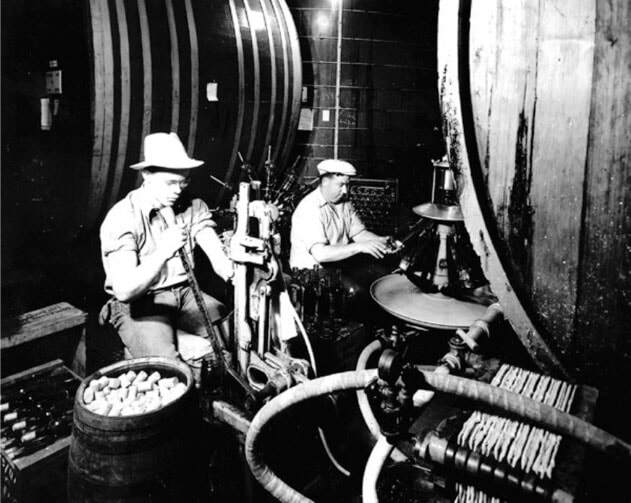 An interesting sidenote, the 1925 Riesling was America’s First Varietal Wine Label! 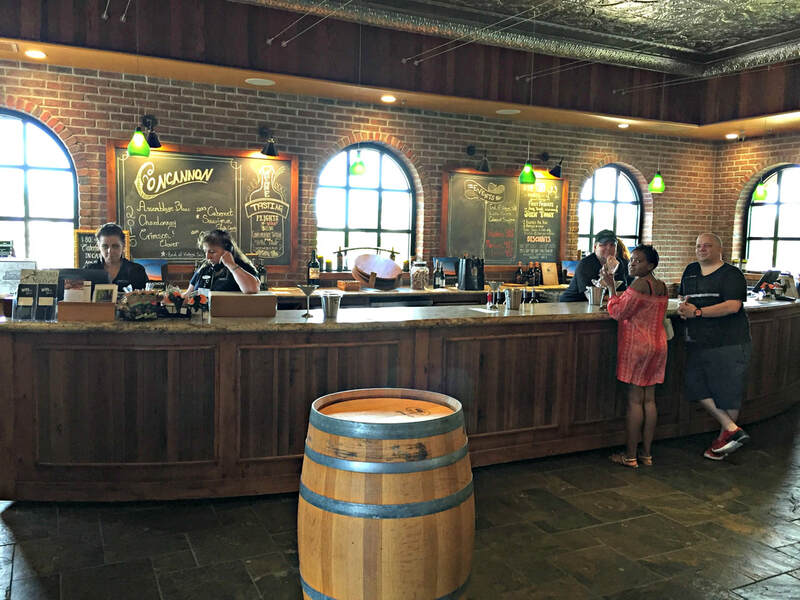 Today, a visit to Concannon Vineyards is something special. Surrounded by stunning vistas, the complex is well laid out to welcome visitors. 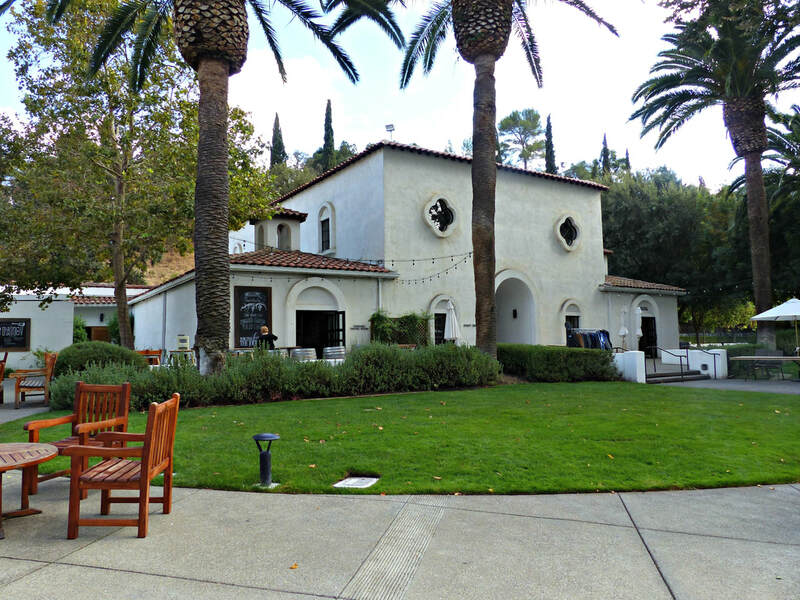 At the center is the original winery, a California Registered Historical Landmark, which has been outfitted with a tasting room, wine library, and wine bar. Outside, manicured lawns, fanciful topiary bushes, and a grape arbor offers picturesque places to celebrate special occasions and taste wine. 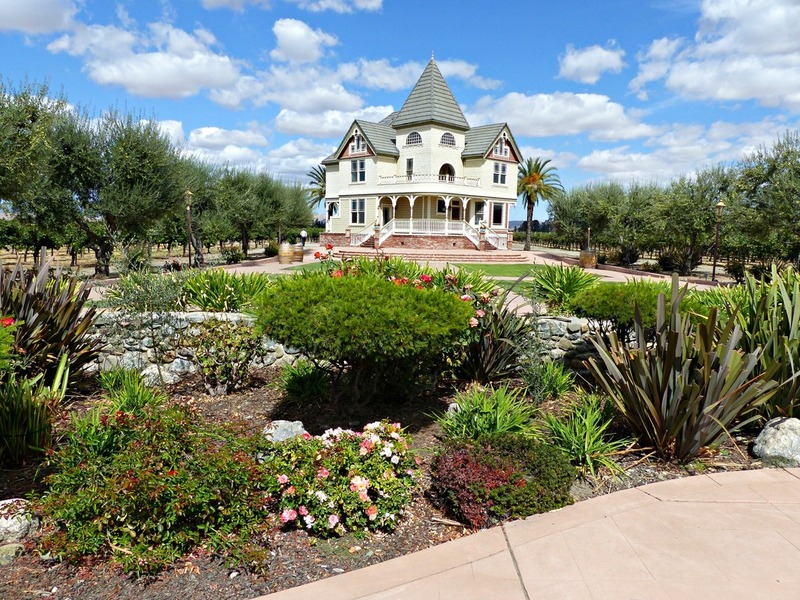 Concannon is a popular place, over 125,000 people visited last year, and it was voted a top California destination. 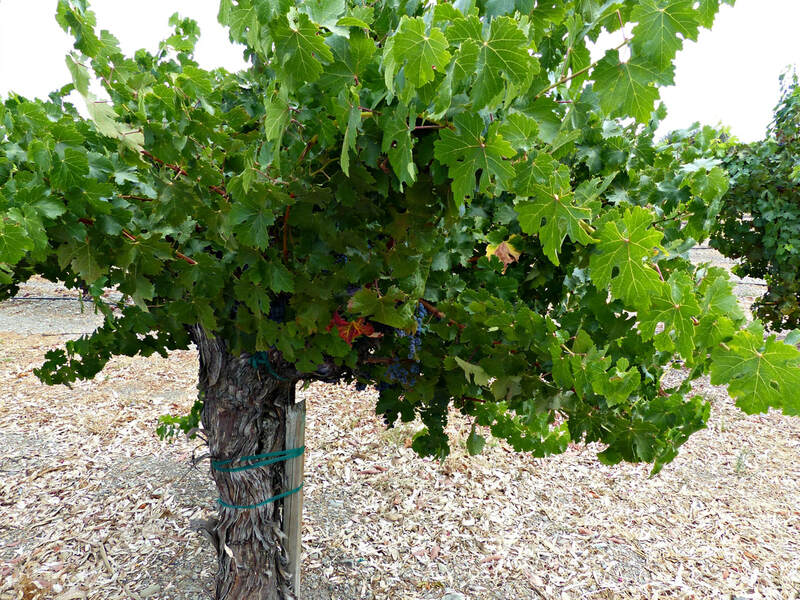 And that Mother Vine that launched 90,000 acres of prime California Cabernet? This cherished vine, with its thickened and gnarled trunk, still produces fruit today, of which Concannon bottles only 200 cases. 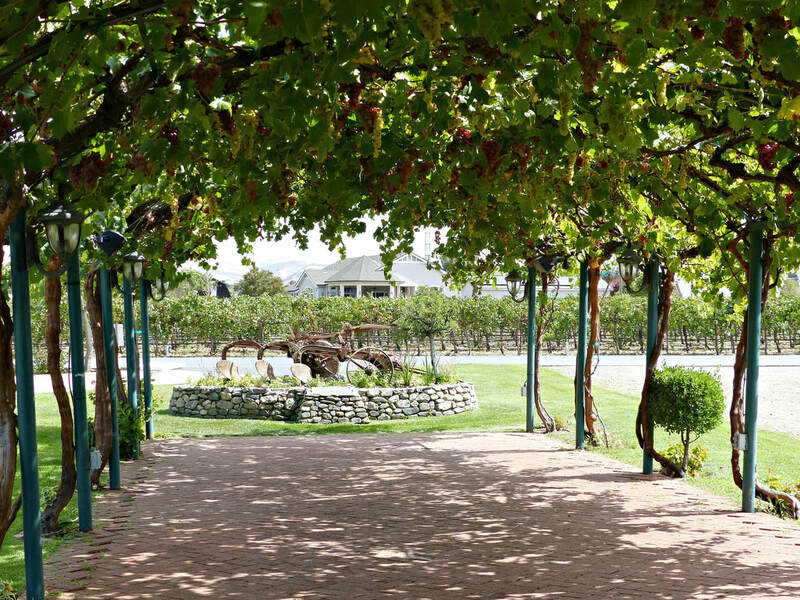 Surrounded by younger versions of this heritage Concannon Margaux clone, the 1883 Margaux Mother Vine vineyard holds an unique place in history, a monument to the vision that James Concannon had for Livermore Valley, carefully tended and nurtured for future generations. Today, Concannon produces three separate collections, the Heritage, Vineyard, and Reserve lines, with 22 different wines. 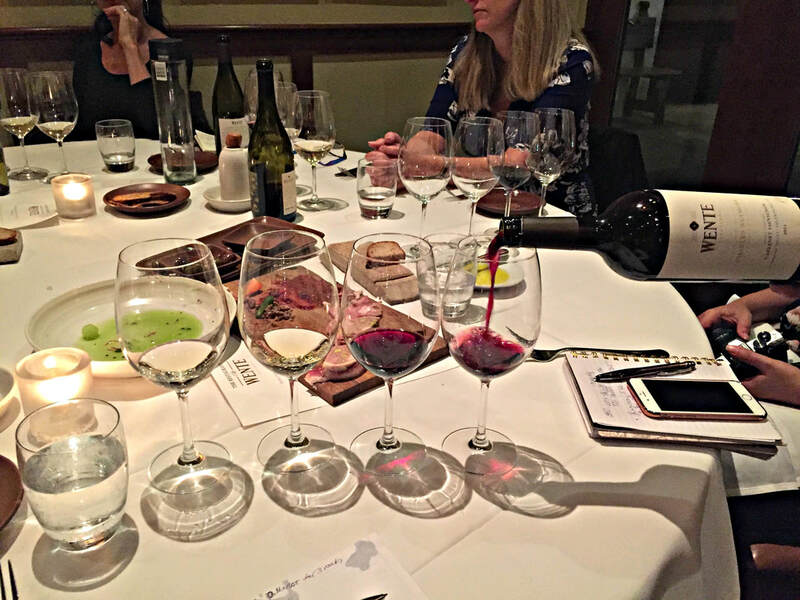 Of course, Cabernet Sauvignon and Petite Sirah are their pride and joy, but Malbec, Petit Verdot, Sauvignon Blanc, Semillon, Viognier, and Chardonnay flesh out their offerings, along with a few blends. 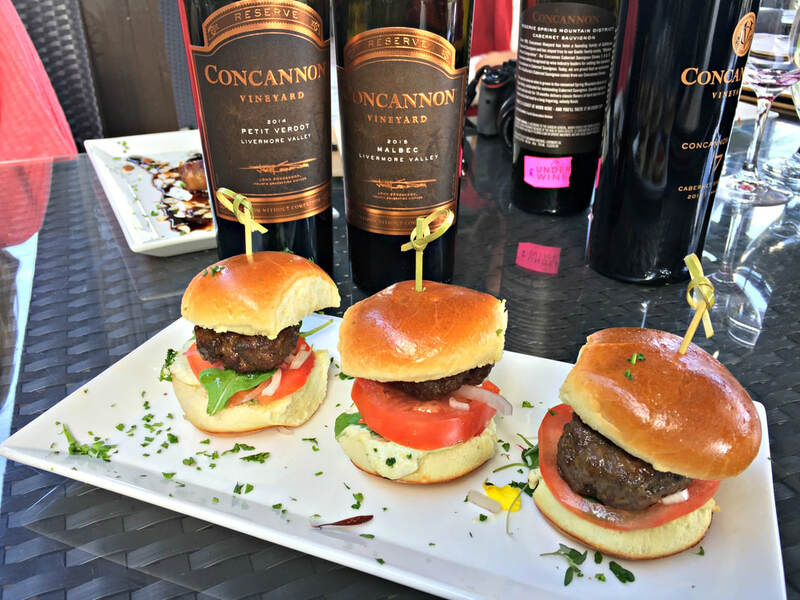 Highly recommended, these are just a few of the quality Concannon wines that convey that sense of place that is so special about Livermore Valley. Concannon Heritage Petite Sirah 2009 - Only bottled in the best years, earthy notes precede the black fruit, this is a structured, well-integrated wine that is smooth and supple, complex in its coffee, licorice and spice notes, with a white pepper accent, this is one of the best Petite Sirahs I’ve ever tasted. 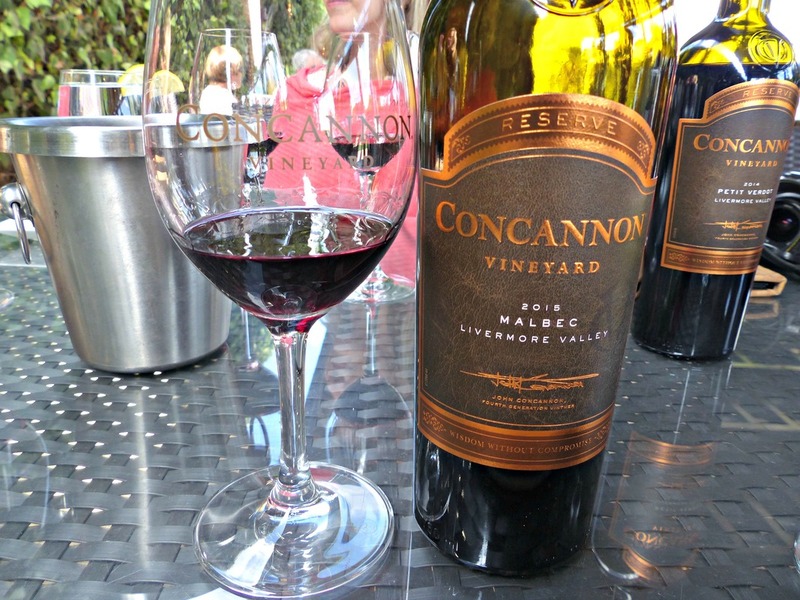 Concannon Reserve Petit Verdot 2010 - Rich and powerful, this intense wine’s dark fruit, spice, and oak notes float on the layers of aromas and flavors, finishing with a nutty accent on the plush finish. Concannon “Mother Vine” Cabernet Sauvignon 2014 - Juicy and bright, the layers of dark fruit have an edge of red berry and mocha, full-bodied yet smooth, the finish goes on and on, a very well-balanced Cabernet. 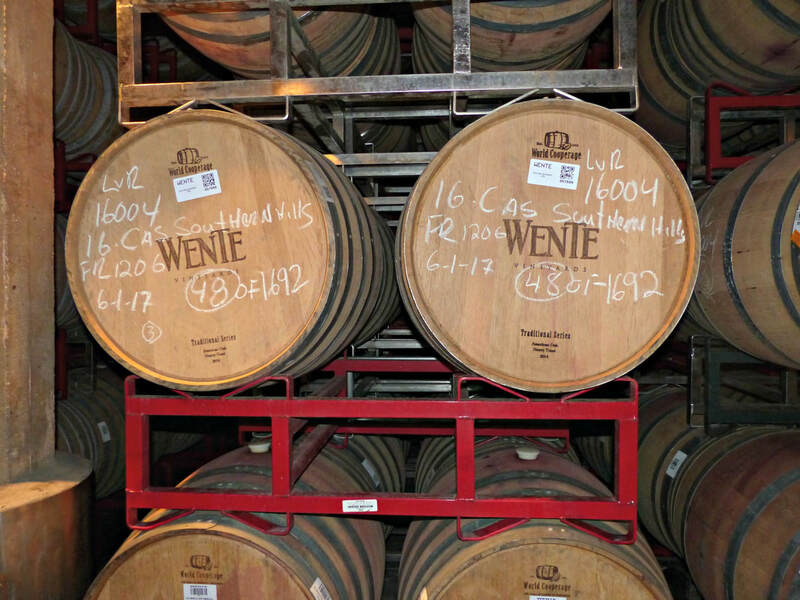 Wente Vineyards, the oldest, continuously operated family-owned winery in the United States, has been running strong for 135 years. Like Concannon, Wente is a pioneer and founder of California’s wine industry. Their Wente clone of Chardonnay changed the landscape of California wine, and continues to win acclaim across many different producers’ wines. 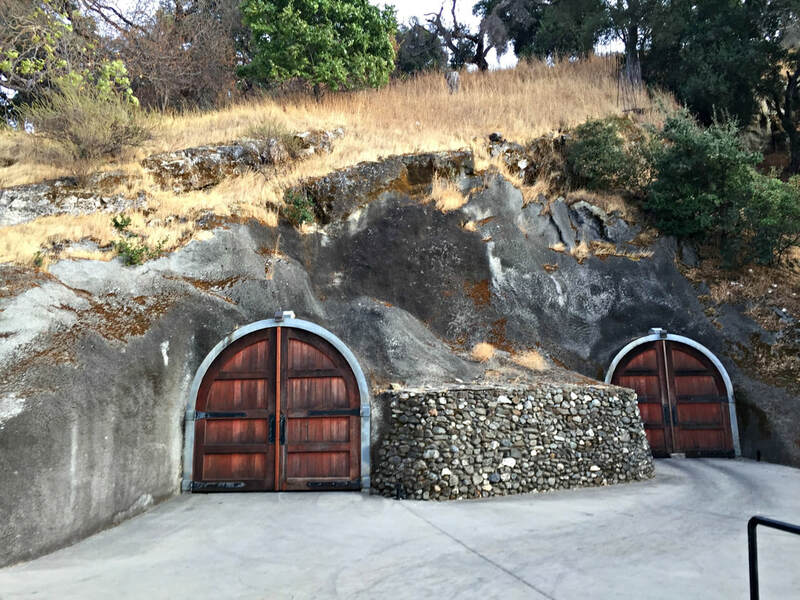 But unlike Concannon, the Wentes have maintained control, and continue to evolve and expand their vision of wine in the Golden State. 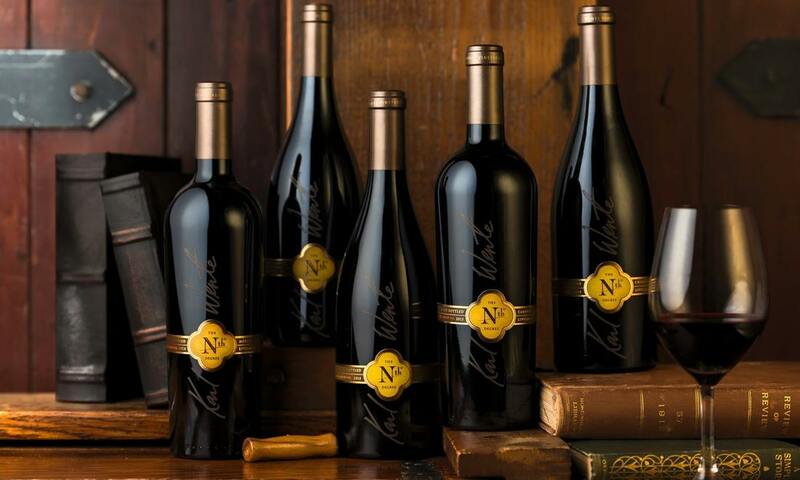 Wente has added to their portfolio of Livermore Valley wines, which includes Murrietta’s Well, by establishing estate vineyards in Arroyo Seco, part of the Monterey AVA, and produces wines from over 3000 acres of vineyard land. 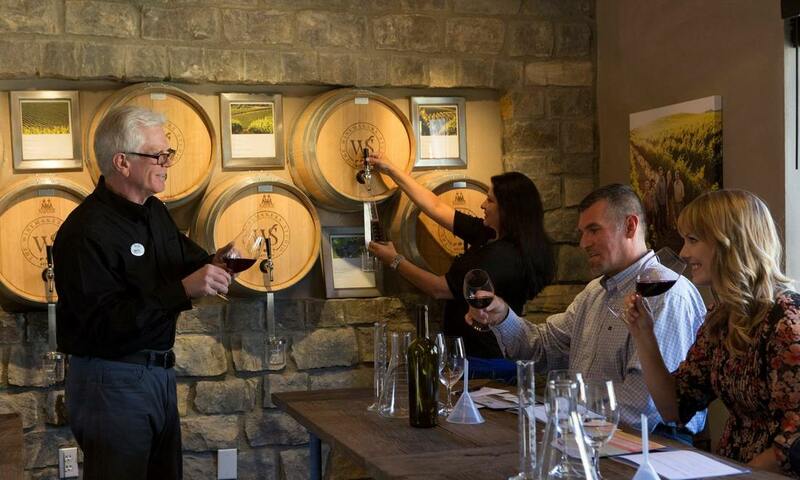 And so Wente has become a global brand, exporting their wines to over 70 countries. 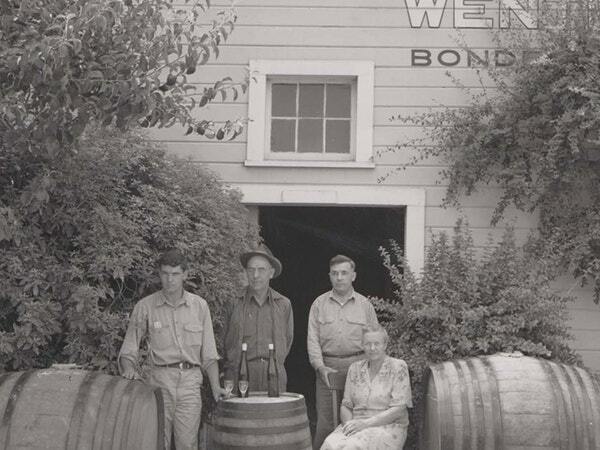 Wente’s rich history began in 1883, when resourceful German immigrant Carl H. Wente bought 47 acres in Livermore Valley and founded his vineyard. His son, Ernest, who had fallen in love with the white wine of Burgundy, convinced his father to import Chardonnay cuttings from Mersault in 1912, from the Montpellier vine nursery in France. For the next 40 years, Ernest Wente conducted the grand experiment, tinkering with the vines and choosing only the best to plant the vineyards. During this time, Prohibition placed Wente Vineyards in survival mode, and they sold sacramental wine, while Ernest continued to experiment with rootstocks and other variables for his Chardonnay. Once Prohibition was repealed in 1933, Ernest and his brother, Herman, took over the winery from their father, and the Wente Bros. label was born. Together, they produced the first varietally labeled Sauvignon Blanc and Semillon wines, and in 1936, bottled the first Chardonnay labeled wine. Wente’s Chardonnay became much admired, and fellow winemakers asked for cuttings of this Wente Clone to plant their vineyards. When third generation Karl L. Wente assumed control, he advanced the cause of Wente Chardonnay, by freely providing vine cuttings to all those who wanted to produce the white wine that had swept the state. 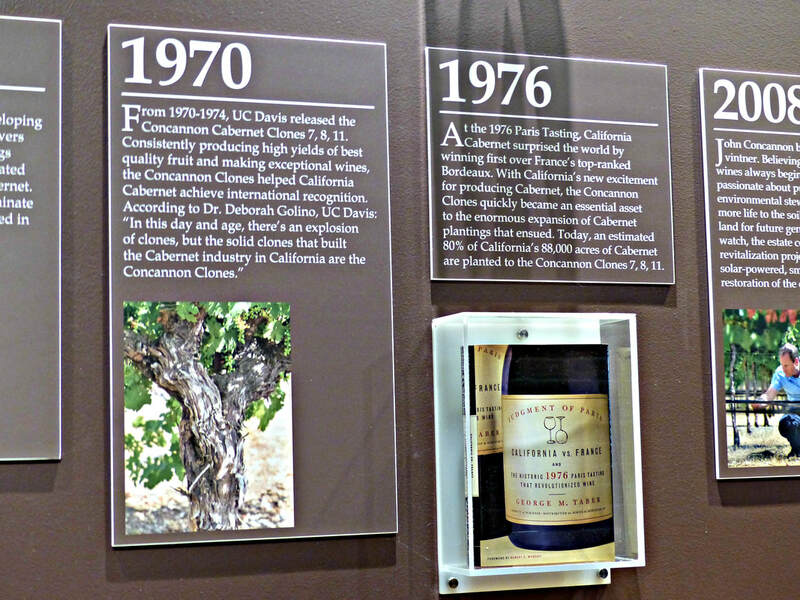 The Wente Clone made history when Chateau Montelena won the 1976 Judgment of Paris for its Chardonnay, beating out French rivals in a blind-tasting, and the revolution was born, with Chardonnay becoming the most popular white wine in the US. 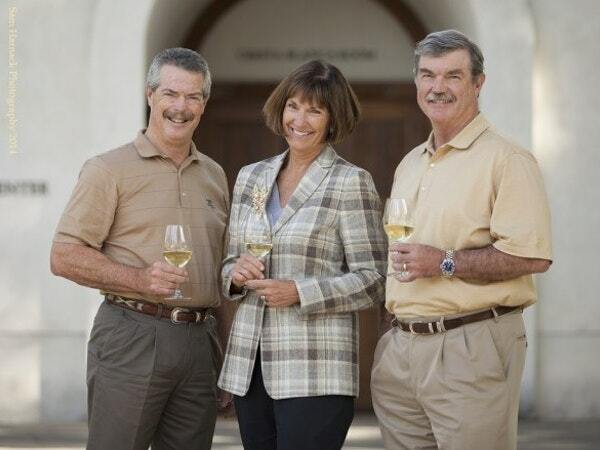 The baton was passed to fourth generation siblings Eric, Carolyn, and Phil Wente in 1977, and they expanded and modernized the operation, purchasing additional vineyards in the Arroyo Seco area of Monterey and the original Cresta Blanca winery, one of the first Livermore Valley wineries. This jewel of history has particular significance for the Wente family. 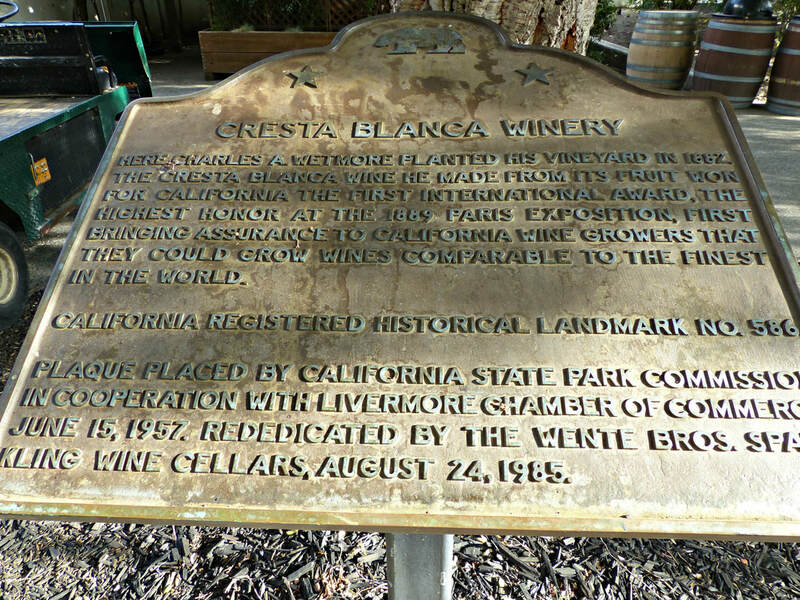 Charles Wetmore, the founder of Cresta Blanca, planted his vineyards with royal stock from Bordeaux in 1882, and he was the one who beat out thousands of French wines for the Grand Prize for his Sauvignon Blanc/Semillon white wine blend at the 1889 Paris Exposition. 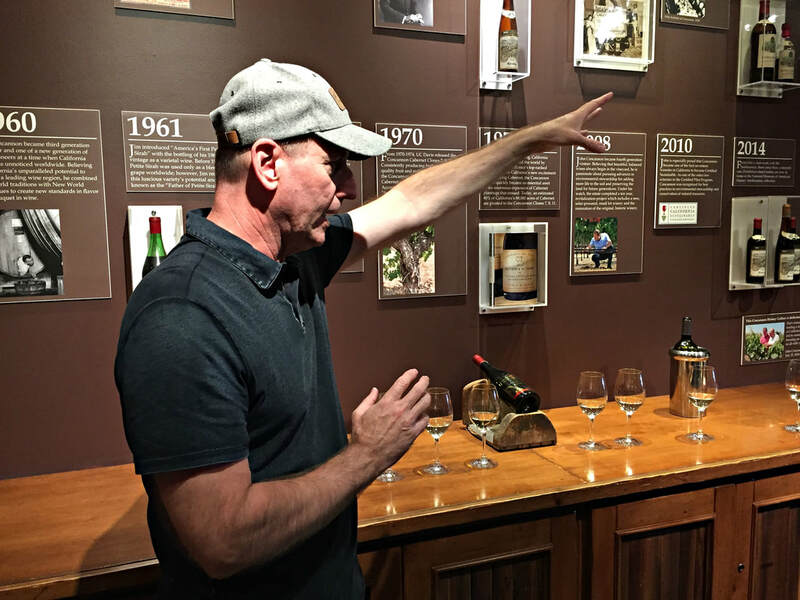 Now a California Historical Landmark, the revolutionary win by Wetmore inspired California winemakers, as it confirmed that their vineyard lands had the right stuff to make world-class wines. 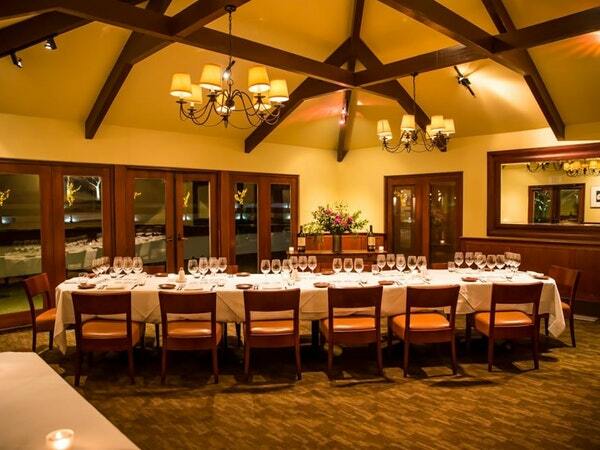 With a beautiful site of historical significance, and 2200 acres of prime Livermore Valley land, the brothers and sister established Wente as a wine destination, by opening a restaurant, concert venue, and golf course. 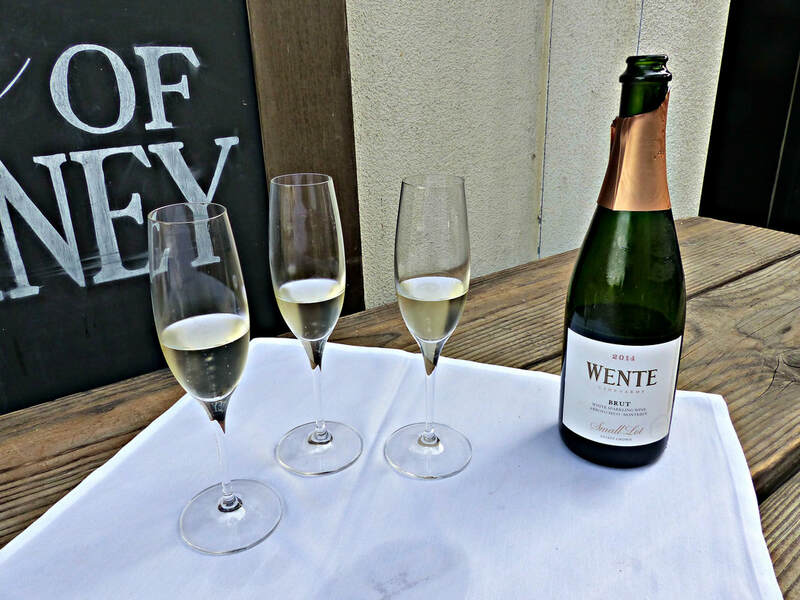 They’ve built upon their initial foundation, and although Wente is known as California’s First Family of Chardonnay, the winery continues to improve and offer many different wines, becoming Certified Sustainable in 2010. 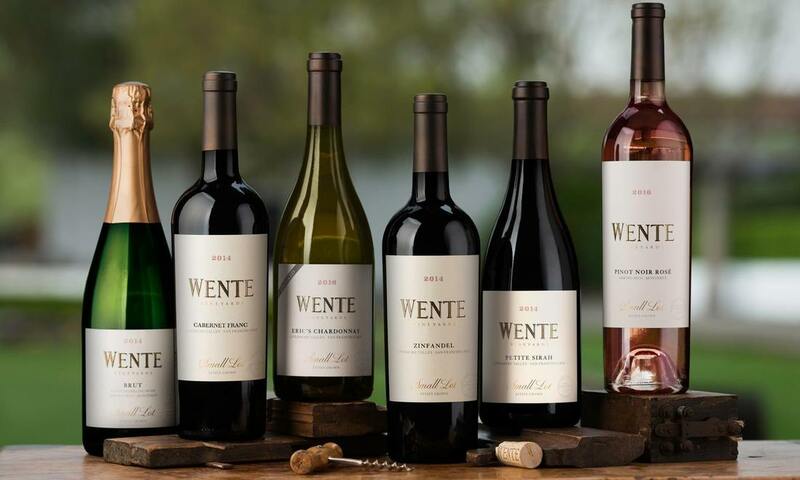 Recognized for their relevance and passion, Wente was christened “American Winery of the Year” in 2011 by Wine Enthusiast. Today, Wente is the complete package. 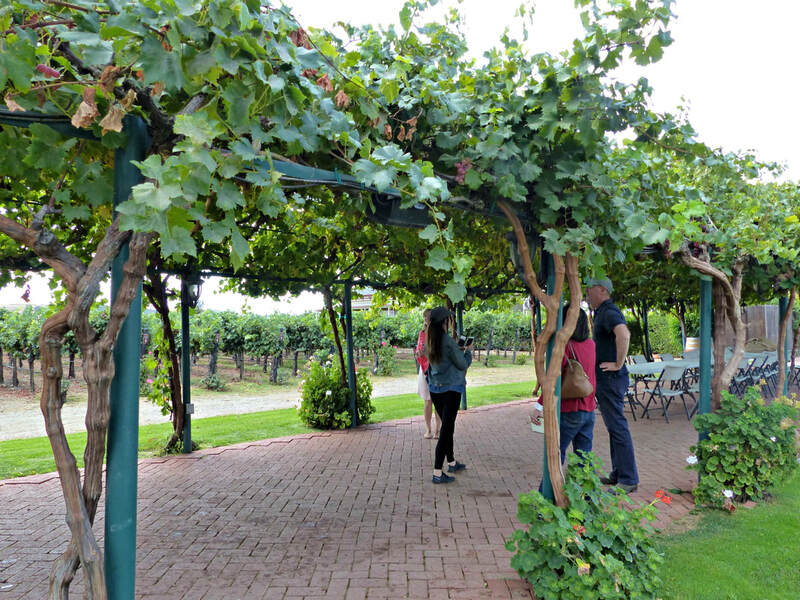 A variety of tours and tastings provide learning experiences in three different tasting venues, nestled among the many picturesque nooks and crannies of the property. 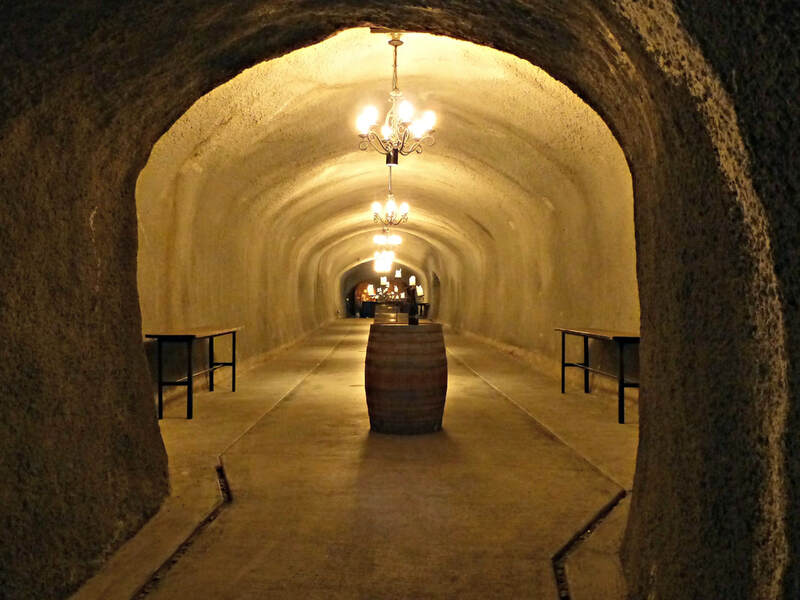 Wine caves, originally dug into the hillside in 1911, have been outfitted as the Wentes’ sparkling cellars, and a place where their best wines can slumber until they are ready to drink. In addition, Wente has diversified it’s business model into what might be called a wine country lifestyle, giving wine tourists more than one reason to visit. 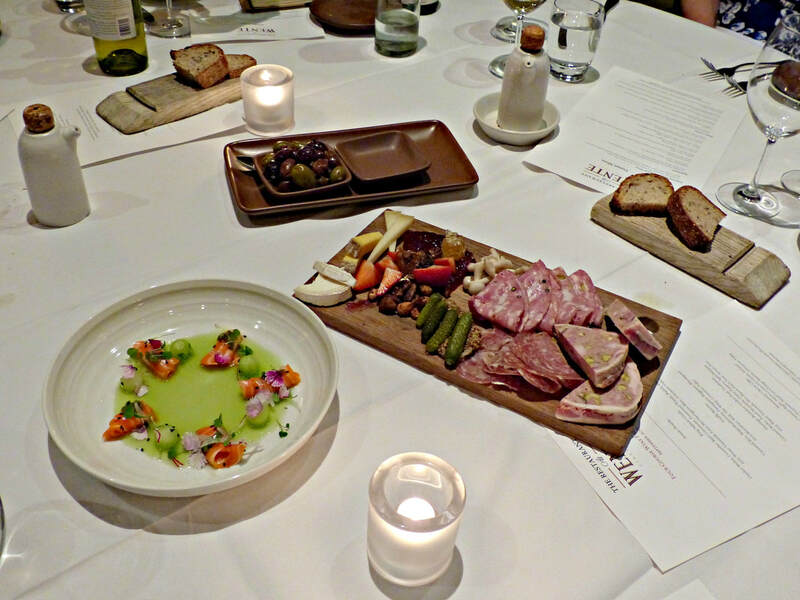 The Restaurant at Wente Vineyards is wine country elegant, dedicated to the best seasonal ingredients, with menus created by Executive Chef Mike Ward. 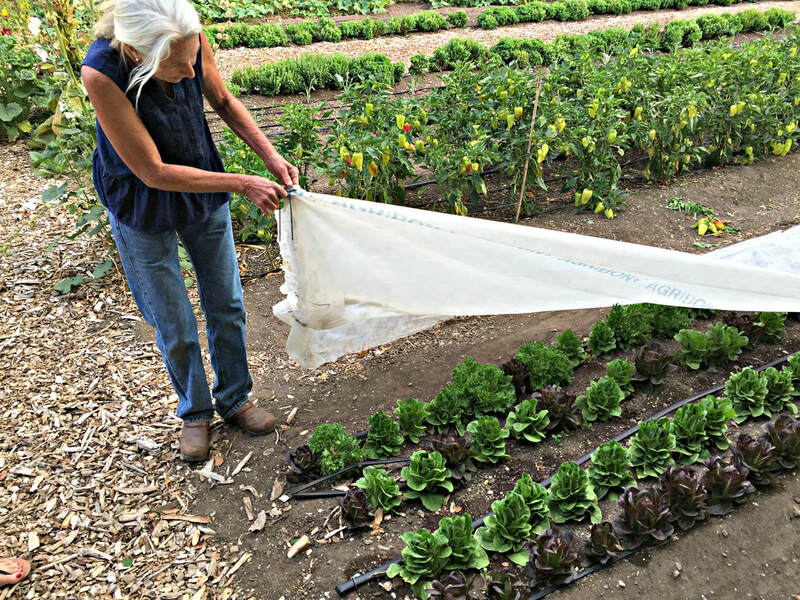 In fact, Wente is so devoted to serving the very best that much of the produce used to create their dishes comes from an organic garden tucked into the back of the property, lovingly tended to full-time by Master Gardener Diane Dovholuk. The Certified Sustainable label has brought lots of perks, including the olive tree planting program, from which Wente makes estate olive oil. Another benefit, 100 head of cattle are raised on open range land, providing grass management and soil fertilization, beyond the sustainable benefit, this grass-fed beef is finished with organic grain and a bottle of Merlot every day for three weeks, before being served in the restaurant. 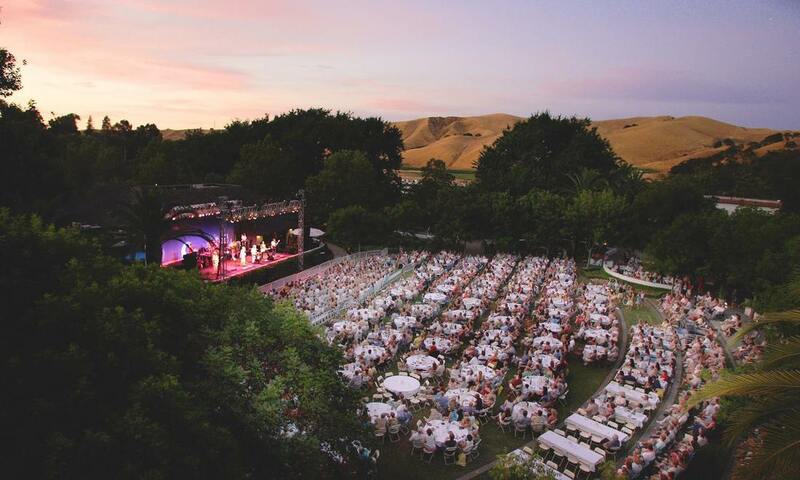 The Concerts at Wente Vineyards draws top performers to its summer concert series, held in the natural amphitheater on the Wente grounds. 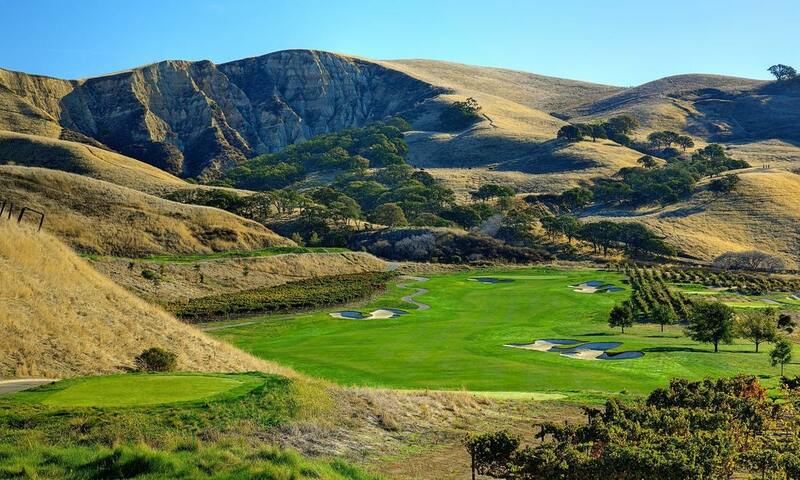 A scenic 18-hole championship golf course, The Course at Wente Vineyards, was designed by Greg Norman, and offers play for both the novice and pro golfer, with The Grill serving casual food and drinks with a view of the greens. 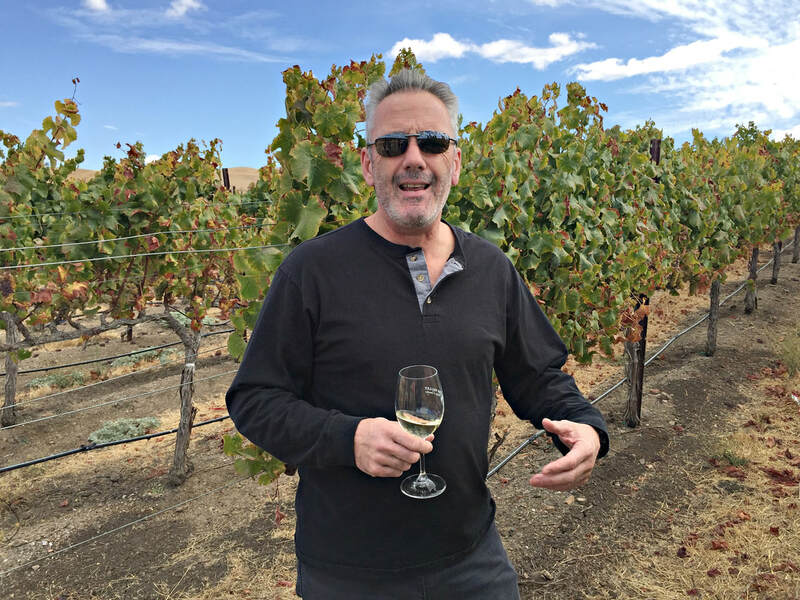 Now, Karl D. Wente, as the fifth generation winemaker, is carrying the torch forward, crafting four different styles of Chardonnay with the Wente Clone in separate collections; the ultra-premium The Nth Degree, the experimental Small Lot, Single Vineyard, and Estate Grown. 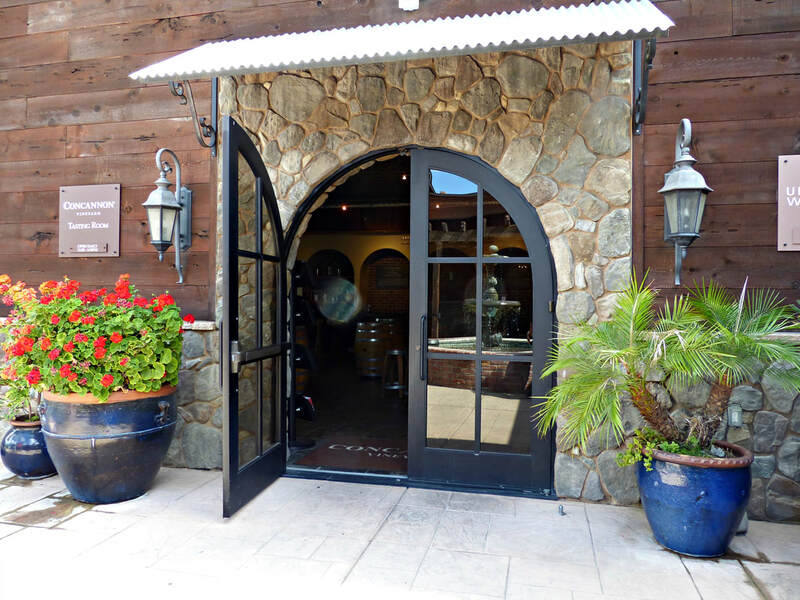 In addition, a total of 38 different wines, red, white, rosé, and sparkling are produced across the various properties, including 14 wines made from Murrietta’s Well and 10 artisan wines from the Wente Winemakers Studio. So what does the Wente clone of Chardonnay taste like? Overall, the wines are luscious, with an apple, pear, citrus, and stone fruit profile, and a highlight of white flowers accented with sweet baking spice notes. Vibrant without any oak, the wines hold up well to new oak barrel fermentation, while holding a clean fruit intensity to match. A ripe, round body, integrated with balanced acidity, belies a mineral backbone, all this leads to a smooth, mouthfilling finish, in other words, a very classic California Chardonnay! Wente’s Morning Fog Chardonnay has a cornucopia of ripe stonefruit, pear, and apple on the palate, but fermentation in stainless steel and neutral oak plays up the fresh citrus in the wine. Wente and Concannon’s vineyards are a living legacy, important in the past and present, as they continue to refine and reinvent their original roots. 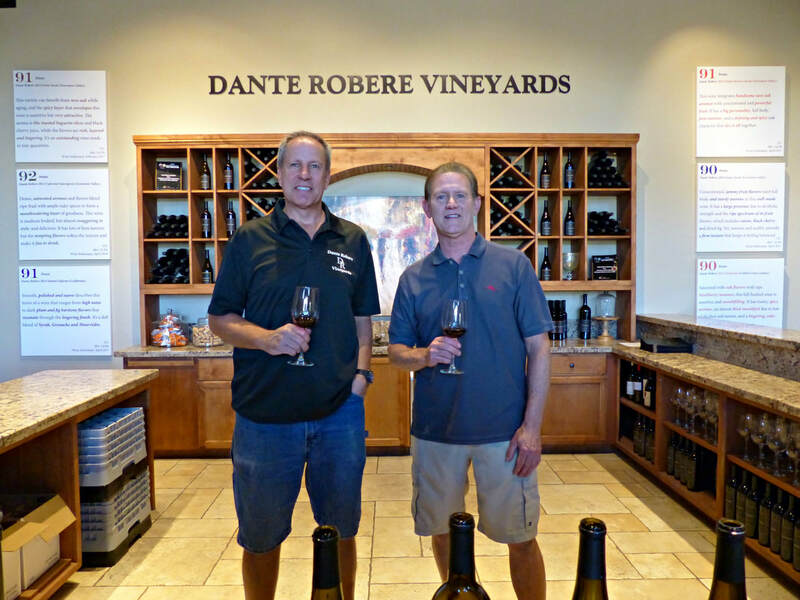 They are stewards of this exceptional terroir, whose founders chose Livermore Valley over Napa Valley, while a new generation of winemakers are flocking here to plant their flag. 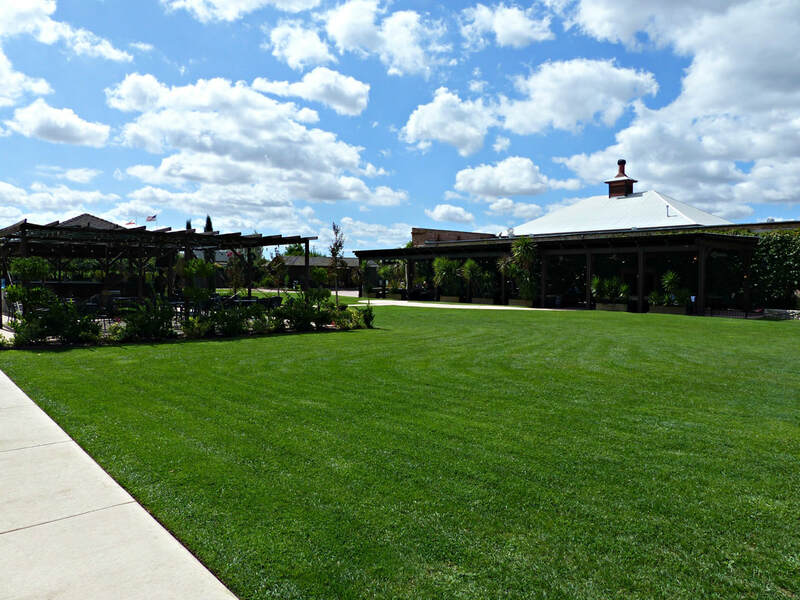 Next, as more boutique wineries join the community, the future looks bright for Livermore Valley.